As we all RECOVER from the Porzingis news we have some HOPE this morning down in Tampa Bay. The Yankees will play their FIRST game of the 2018 Season on March 29th, but today was the FIRST day that the Pitchers and Catchers started to report to their Spring Training Facility in Tampa Bay. The Yankees have HIGH expectations this season and I will be blogging A LOT about that in a couple of weeks, but it is PLEASANT to see that one of their BEST pitchers Masahiro Tanaka and one of their best YOUNG pitchers, Jordan Montgomery report EARLY to spring training. BOTH Tanaka and Montgomery have HIGH expectations this season so they will need to work HARD in Spring Training to get ready for the season which they hope ends with the Yankees lifting their TWENTY EIGHTH World Series championship. 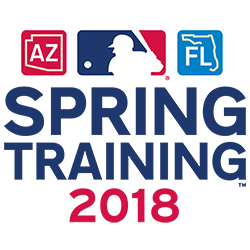 Over the next few days we will start to see some of their BIG hitters report to Spring Training as they get ready for some Spring Training games that start TWO weeks from this Friday. The Yankees were SUPPOSED to be in the middle of their “RETUNING” this season but after a GREAT season last year and BIG moves in the offseason, they have HIGH expectations. Today is the FIRST real day on the job for the NEW Yankees Manager Aaron Boone so it will be INTERESTING to see how the players react to him over Spring Training before they head NORTH for the Regular Season. I am EAGERLY waiting for the baseball season so the LITTLE bread crumb that I got this morning got me even more EXCITED for the season and I cannot WAIT. If you are a reader of this site and are NOT a Yankees fan, then you are going to be EXHAUSTED by the amount of blogs that are in the PIPELINE for the Yankees over the next NINE months.